Assignment of Debt vs. Purchase of Debt: What is the Difference? Question: What is the difference between assignment of debt and purchase of debt? If debt was purchased what are some possible ways to defend? Answer: Assignment of Debt. In terms of debt collection an assignment of debt is the transfer of debt along with all the rights and obligations associated with the debt, from an original creditor to a third party. The third party can be a debt collector. Generally, when a debt is assigned the debtor must be notified in order that he or she will know who and where to make payments. This is to avoid the debtor making payments to the original creditor which may not be properly credited to an account that has been assigned to a third party. This could cause a debtor to unintentionally default on a debt. Purchase of Debt. Debt purchasers such as a collection agency or a debt collection law firm purchases delinquent or charged-off debt for pennies on the dollar and then attempts to recover the full amount of the debt. Debt buyers may attempt collection themselves or hire an outside collection agency for collection. Debt purchasers may even resell the debt to a different debt buyer. What this means in Debt Collection Lawsuits. (Disclaimer: I am not an attorney and suggest you seek proper legal advice.) Debt buyers, debt collectors and debt collection laws firms are permitted to attempt debt collection. There is no law, at least that I know of, that would prohibit a debt collector from pursuing payment for unpaid debts. However, when a debt collector files a lawsuit, consumers can request debt collectors prove they actually have a right to the money owed. This is where the courts seem to make a difference between assignment of debt and debt purchasers. As stated above, when an original creditor assigns a debt to a third party, they transfer the debt along with all the rights and obligations associated with the debt to the third party. In this scenario the third party can legally sue for an unpaid debt as part of the collection process. When debts are purchased there is no actual assignment of debt. Even though debt buyers state they were assigned the debt, in most cases this is simply not true. If a debt buyer presents the “Bill of Sale” as some kind of proof they own the debt, this can be successfully challenged as it contains no specific account information about the debtor. Additionally, under a true assignment of debt, the original creditor must notify the account holder their account is now being handled by a third party. A letter from a debt collector does not constitute notice of assignment as the account holder had a signed agreement with the original creditor, not with an unknown third party debt purchaser. When challenged in court, debt purchasers are rarely able to prove they have a legal right to collect the debt because they only have a “Bill of Sale” and not an assignment of debt from the original creditor. The best of luck to you. Hi there! I was reading your article and I had a question. A debt collection company has purchased a debt from Capital one and I’ve been disputing like crazy and I even filed a complaint against them with the CFPB but they only respond with a credit card statement as their validation of debt. I always thought that they had to provide a signed contract. Could I fight them back on this? Federal FDCPA Rule (Fair Debt Collection Practices Act) does not specifically state that a debt collector must validate a debt with an original contract. If you were in a court of law, concrete proof like an original contract would more than likely be required. But simply requesting debt validation does not require much more than verification of the debt with information such as the original creditor’s name, address and amount owed. Technically, a statement could be viewed as sufficient validation. What acts as proper debt validation remains largely undefined under the FDCPA. However, some states have enhanced debt validation laws that require documentary proof such as a signed contract that created the debt. I suggest you review your state’s debt collection laws. California, Massachusetts, New York and Texas currently have enhanced debt collection laws intended to provide protections beyond what is currently required by the Federal Fair Debt Collection Practices Act. Check with your state to see if they have any additional debt collection laws that address debt validation/verification. Yes, a great article. I’m glad I stumbled upon this as you shed light on an overlooked but important detail. In a lawsuit, what if the debt collector claims to be both an assignee of the original creditor and purchaser of the debt? Your article asserts there are clear differences between the two in terms of where each stands to collect the debt in a lawsuit and I want to explore this distinction further as I prepare for my trial. The bill of sale that the debt buyer produced has language that lumps both together: “bill of sale and assignment”, [original creditor] “hereby transfers, sells, assigns, conveys…to Buyer”. This is very confusing. It seems they are using the two interchangeably? Or claiming to be an assignee when they aren’t? Also, where can I find concrete references to rules and guidelines pertaining to debt assignment which you write about? (Disclaimer: I am not an attorney and suggest you seek proper legal advice.) When this article was written several years ago, I consulted with a lawyer friend of mine because the topic can be so confusing. However, I can only suggest you google “junk debt buyers assignment of debt.” It should pull up multiple references from actual law firms that may be able to clarify some issues for you. Also, there’s an extensive article at http://www.toughnickel.com that offers information on how to defend debt collection lawsuits. I fell seriously behind on an account (cc) but was able to resume making monthly payments although less than the minimum required payment. The monthly billing disclosures stated that as long as the account did not fall 180 days in delinquency – negative action would be avoided. I remained in contact with the creditor – each month advising them when next payment would be made and the amount ($100). Finally, mid-April 2017, I advised the creditor that I would be able to catch up the past due amount of approx. $365 on May 1st and would be able to make the minimum monthly payment going forward. However to my dismay, about two weeks later I discovered that the account had been charged off. Was this legal? Given the fact the the disclosure that accompanied my monthly bill stated no negative action would be taken as long as I didn’t go 180 days delinquent AND was making $100 payments each month? Yes, unfortunately it was legal for the credit card company to charge-off your account. When you sign a credit card agreement, whether physically or electronically you agree to make the minimum monthly payments. The agreement constitutes a legal contract. When you fail to make payments on a timely basis, you breach the contract. Even though the billing disclosure stated “… as long as the account did not fall 180 days in delinquency – negative action would be avoided,” that does not prohibit the credit card company from exercising their right to charge-off the account. And here is why. That disclosure assumes you’re making the minimum monthly payment. Making less than the minimum payment can lead to a charge-off. It’s equivalent to sending no payment at all. You may not receive a warning or collection calls from the credit card company but your account will generally be charged-off in the same 180-day time period as if no payments were received. Anytime you make less than the minimum payment, your credit card account can be considered delinquent and a charge-off can ensue. Unless you reached out to your credit company to make an official repayment plan prior to missing payments and paying less than the minimum, they can legally charge-off your account. Some credit card issuers have official “hardship programs” that are temporary (3, 6, 12 months), or for the lifetime of the balance repayment. But entering into a hardship program is like re-negotiating the terms of the agreement. Most people experience an economic hardship at one time or another. Credit card companies realize this and most, if not all, have some type of credit card hardship program to help consumers. But they typically do not publicize this option. A credit card hardship program typically includes: lowering the interest rate, lowering the minimum payment or reducing fees and penalties. Credit card hardship programs can be short-term (up to 12 months) or permanent (until the balance is paid). The biggest problem with credit card hardship programs is that credit card companies don’t typically offer them to struggling account holders. So don’t be shocked if you haven’t heard about it. It’s so secret that credit card companies may even call their hardship programs by different names. If you’ve been speaking to a general customer service representative, they may not have offered this type of program as an option because they may not know the company has a hardship program. Plus, credit card companies aren’t required to offer hardship programs, it’s in their sole discretion to do so. I would definitely call, email or write the credit card company to see if there’s a possibility to get the account out of charge-off status in exchange for a hardship program. Certainly you are capable of making payments as proven by your payment history. You could have benefitted from having your interest rate and minimum payment officially reduced to something you could handle at the time. Make this argument, in a polite way, to someone in a decision-making position. Since you were in constant contact with your credit card company, someone should have offered you the option of a credit card hardship program. To qualify for a credit card hardship program the company may have questions about your household income and expenses. More than likely charging privileges will be suspended with a hardship program. 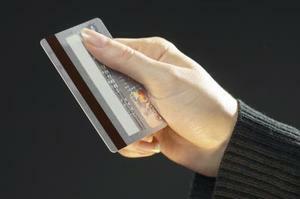 Some credit card issuers reinstate the card once the program is completed. How the credit card hardship program appears on your credit report depends on the credit card company. Some credit card issuers will not report negative information as long as the customer maintains a good standing in the program. In some instances, negative information will be removed if you complete the program. If you’re able to get into a credit card hardship program, make sure you ask all the pertinent credit score (i.e. will my payments be reported “Paid as Agreed” and “Never Late”) questions before entering into an agreement. This is an interesting article. I have an outstanding CC debt that has been “assigned” to 3 different CA’s (not all at the same time). Each time a new CA has contatcted me they just send a letter saying that the OC has assigned them the debt and that I have 30 days….. blah, blah, blah pretty standard letter. Each time I have requested VOD within the 30 days and each time they just send back a pack that contains the final 12 months of statements and a cover letter, also never by certified mail. I have never been contatcted by the OC to say they assigned the debt. The debt was charged off after 6 months of non payment. Is this a pretty standard practice with OC’s and CA’s? Yes, it’s pretty much standard operating procedures. Creditors typically take a charge-off at 120-180 days after first delinquency as regulations require them to move an unreceived amount of debt in their accounting ledger from a receivable asset to a non-receivable bad debt once it is determined payment is unlikely. In all likelihood the debt has been sold from one collection to another and not truly “assigned.” Each time the debt is sold to a new collection agency, upon initial contact, they will send you a dunning letter notifying you about the debt using specific language in the FDCPA. If you request validation, the collection agency only needs to send you a copy of your statement or even a cancelled check; that is if they respond at all. Actual “assignment of debt” becomes important if a debt collector seeks legal action because an assigned debt is still owned by the original creditor. In a legal action the debt collector would have to show proof they were actually assigned the debt and have legal rights to collect on the debt.